The most surprising thing about Need for Speed: The Run isn't that the series continues to attach itself to well-known celebrities even despite a run of average-at-best installments in recent years. It's that the spokesperson it's attracted this time, Christina Hendricks, has been modified in a way which defies everything we know about video games; no skintight suits or low-cut dresses. In fact, the Mad Men star has had her bust size reduced or anything, as if EA is trying to make a statement about the maturity of The Run just through it's representation of it's cast. This is a good thing, even if developer EA Black Box doesn't manage to keep the maturity consistent throughout the game as a whole - NFS: The Run quickly becomes as outlandish as you'd expect. 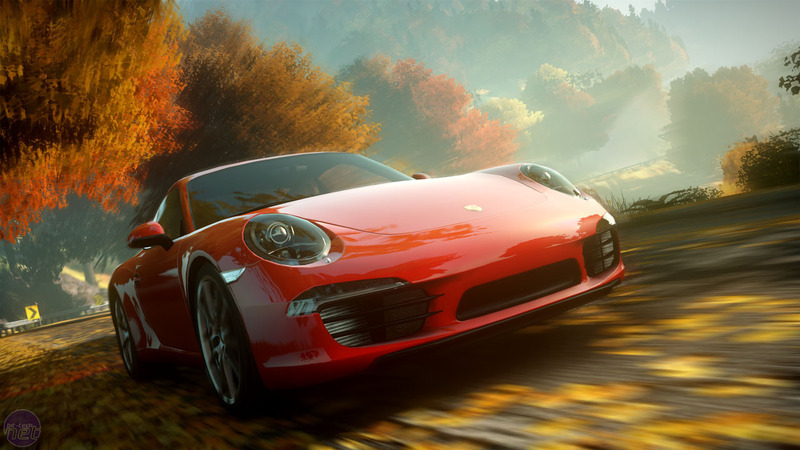 After years of identity crisis for the Need for Speed franchise, which has seen the series alternate between extremes such as Shift and Hot Pursuit, The Run attempts to settle on a middle-ground. Unfortunately, while the premise is interesting and the cutscenes we've seen suggest it will be stylishly told, it's not all smooth driving. Four letters are enough to ruin our introduction to The Run: QTEs. These appear for brief on-foot sections as your character tries to evade chasing mobsters. This oddity aside, the basic set-up is you’re taking part in a massive street-race from San Francisco to New York, providing a framework which allows for both huge scale and diversity in race courses as you attempt to overtake your 200 competitors. In the story mode you start at the back of the pack and are forced to claw your way up the ranks over small stretches of tarmac on your way to New York. The races themselves follow a usual framework that only varies a little between major landmarks, however - time trials, rival races, etc. In this way the plot lets Need for Speed down a little, as The Run is exactly the same as any other racing game, except that you 'win' a race by getting to 196th position, rather than 1st. Even though the basic set-up may be a bit gimmicky it gives momentum to proceedings, and geographical context to race settings. So, instead of the mountain tracks, desert tracks, urban tracks and forest tracks of previous NFS games, you get the Rockies, Death Valley, Las Vegas and Yosemite National Park. The Frostbite 2 engine is used to create flourishes such as dust storms which improve the sense of place for these locations, as well as serving to add environmental challenges to specific events. While The Run is clearly an arcade racer, handling falls somewhere between Hot Pursuit’s drift-happy cornering and Shift’s realism. Winning races isn't as simple as taping the accelerator down, but nor will you need to worry about being in the wrong gear when you slalom along a mountainside. Interestingly, cars feel heavy compared to the nimble speedsters of Hot Pursuit too, making last-second crash escapes harder to pull off even as races get more hectic due to larger numbers of opponents. It didn’t take long for us to get accustomed to the unexpected weight, but we still feel some crashes were down to this slightly sluggish handling, rather than our [clearly cat-like] reflexes. On the flipside, when you do take perfect corners, weave through impossible looking gaps, or narrowly avoid head on collisions it feels like you worked for it, instead of just muddling through as could happen in Hot Pursuit’s hairier moments. Similarly, while multiplayer can proves challenging, it's ultimately a lot more fun as a result - especially when you manage to go undefeated for an entire day of playing. 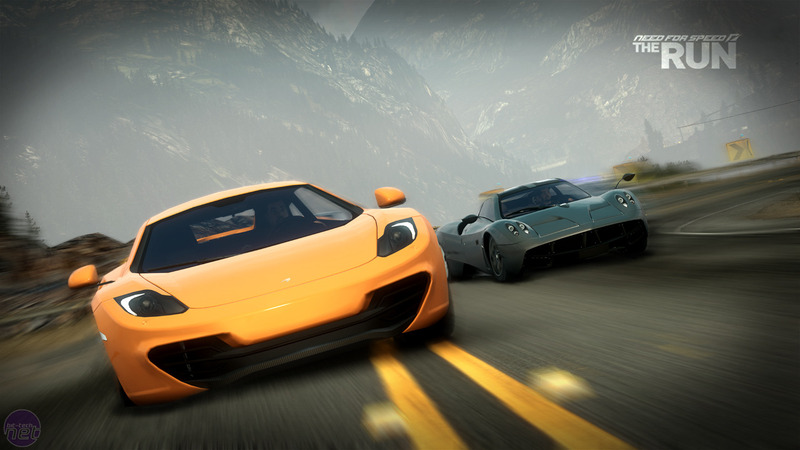 In multiplayer races are frenzied experiences with human competitors jostling for position across playlists built out of three or four chosen tracks. Autolog is back to maniacally stoke the fires of competitiveness too, though we only had the most minor of interactions with it during the preview. Still, as long as EA hasn't altered Autolog too much then we're confident it will keep people playing long after the main game’s finished, just as it has in previous NFS games. Only time will tell if EA's insistence on fiddling with the NFS series will drive The Run to lasting greatness or obscure defeat, however. Need for Speed: The Run will be released on November 15, 2011 and will be published by Electronic Arts for Xbox 360, PC and PlayStation 3.